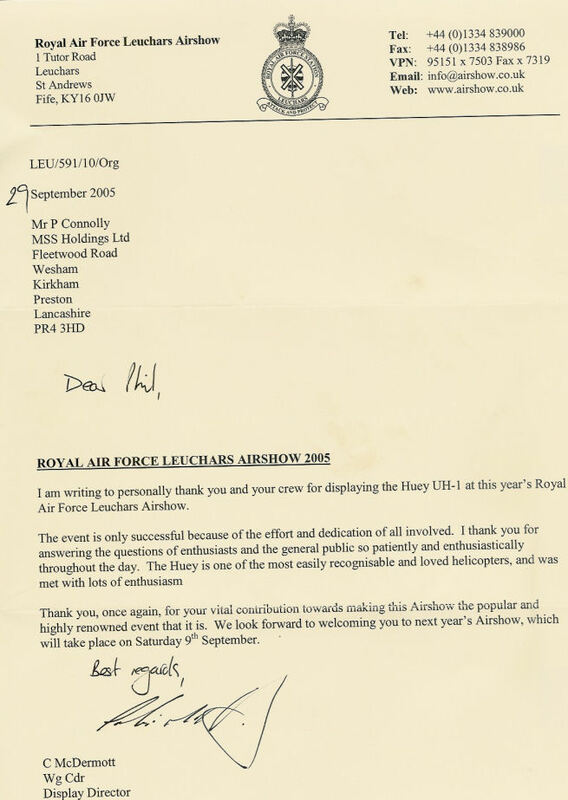 UPDATE: The Huey proved to be a very popular at the RAF Leuchars Air Show and we were pleased to receive a letter from the display director. Please click here to view the letter. 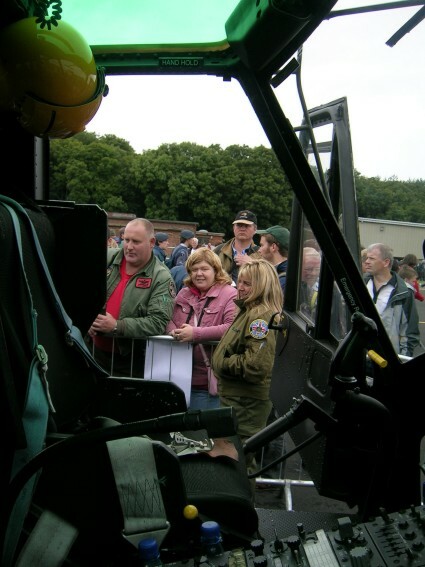 The huey and the team enjoyed a tremendous reception at RAF Leuchars Air Show. The typical English weather caused us a few problems on Friday! We were due to depart at 12oclock to arrive by 3.15pm but the rain and low cloud meant we were delayed by four hours! However, we set off, calling in at Carlisle to refuel. We would like to thank the guys there for their hospitality! We arrived at Leuchars at 7.15pm and were made very welcome. Supper and drinks were provided in the Officers Mess. What a great atmosphere! 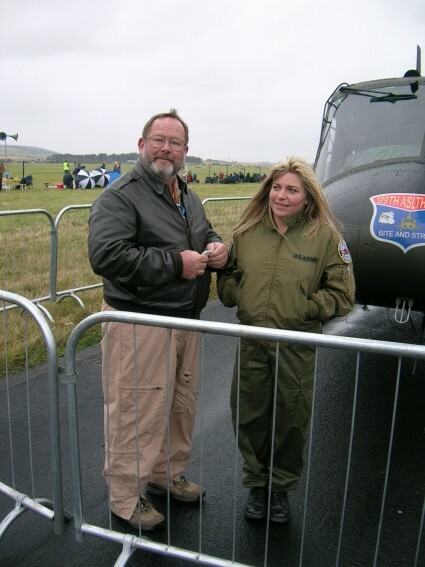 All the visiting air crews were there, crews from various RAF squadrons, the Royal Navy, Army Air Corps, German Air Force, US Air Force, United States Army, Belgian Armed Forces, French Air Force and some privateers like us. It was great to talk to them all. 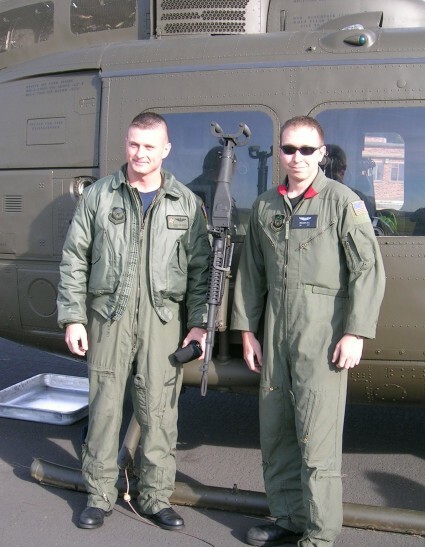 Neil met up with some of his RAF buddies who were very interested in the huey! The show opened at 8am on Saturday. We had a brilliant day! We certainly pulled a big crowd! Everyone we talked to was very impressed by the machine and it was a pleasure to meet and talk to so many enthusiasts. Thank you all for your words of praise! We were still talking to people at 7pm; an hour after the show had officially closed! Hearing all these wonderful words of encouragement meant a lot to us all, thank you! The air show party followed-more free food and drinks and the opportunity to meet and talk with the other visiting air crews again. 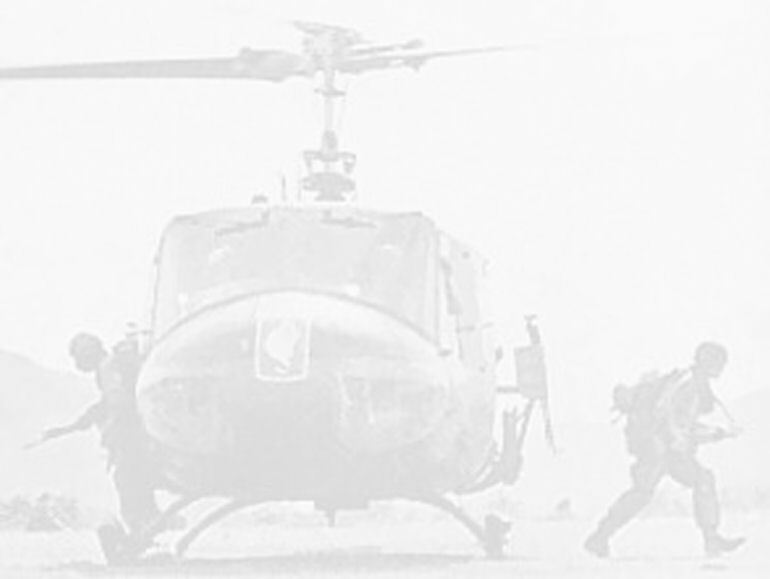 We would like to thank them too for their interest in us and what we are doing. 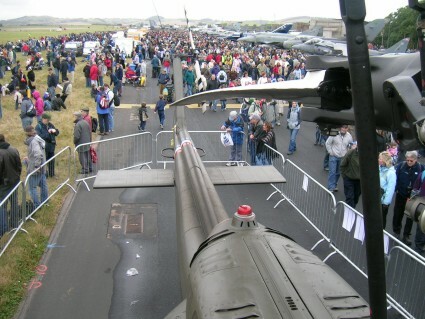 We hope to be back next year, when we will have our display licence. 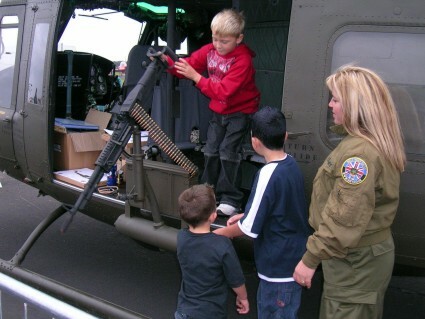 Then we will be able to fly the huey during the show, rather than just being on static display. 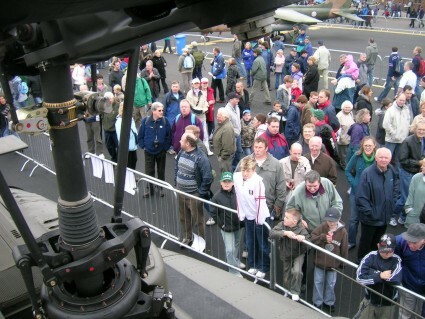 We would like to take this opportunity to thank everyone at RAF Leuchars for such an enjoyable event. It takes 14 months for them to plan the show and all their hard work certainly paid off! If you were there, it was great to meet you, if you werent, make sure you go next year, its well worth a visit!